A pair of large dogs, too old to be bothered with actually getting up, wag their tails in eager welcome from recumbent positions in the foyer. We’re early, and Ludger Szmania, co-owner of Warm Springs Inn & Winery along with his partner Julie Szmania, is busy mowing the lawn. These two adorable pups are the first to welcome me and my partner, Steve, to Wenatchee. 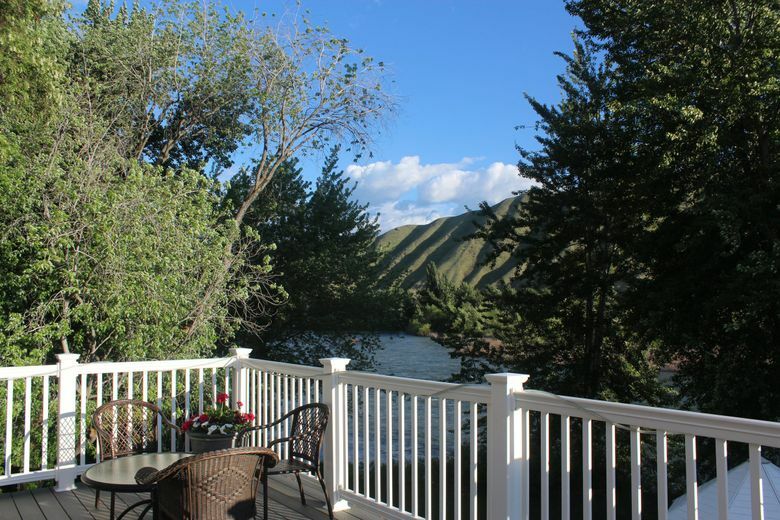 Waiting on the lush, sun-loved grounds is hardly a chore, and soon Ludger Szmania is giving us a tour of the elegant yet cozy house, complete with a large balcony overlooking the Wenatchee River, rushing and widened with snow runoff. Later, when he sees one of the dogs soaked and begging at the patio door, Szmania seems surprised and a little concerned that the old pup narrowly avoided being swept away. The Szmanias purchased their property in 2013 after leaving Seattle, where for 20 years they had run German-influenced restaurant Szmania in Magnolia. Master chef Ludger Szmania is originally from Düsseldorf, Germany. When the couple retired from the restaurant life, they knew they wouldn’t be content with doing nothing. So they opened the inn. After years of running a restaurant kitchen, Ludger Szmania now crafts creative breakfasts at the inn (creative enough to get my vegetable-averse partner to clean his plate!) and manages catering when the space hosts events like weddings. 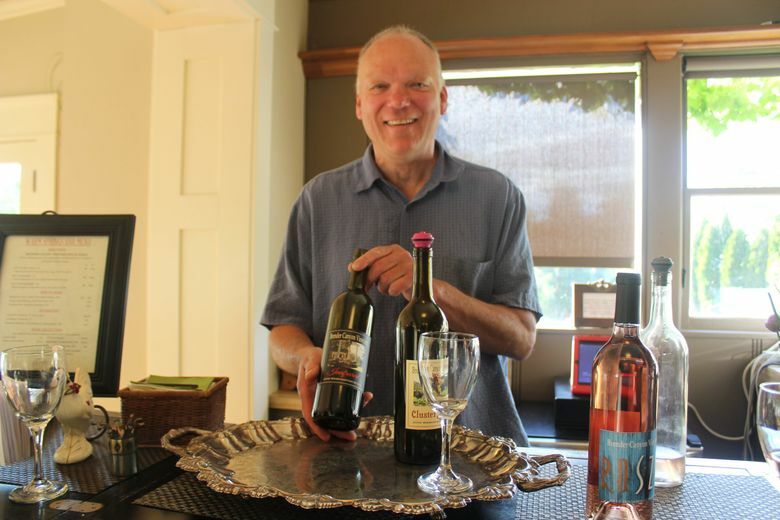 After the tour, Ludger Szmania settles us in with a wine tasting, featuring varieties from Brender Canyon Vineyard, the Szmanias’ sister property, as he regales us with stories about his family and offers advice on how to spend our time in Wenatchee. 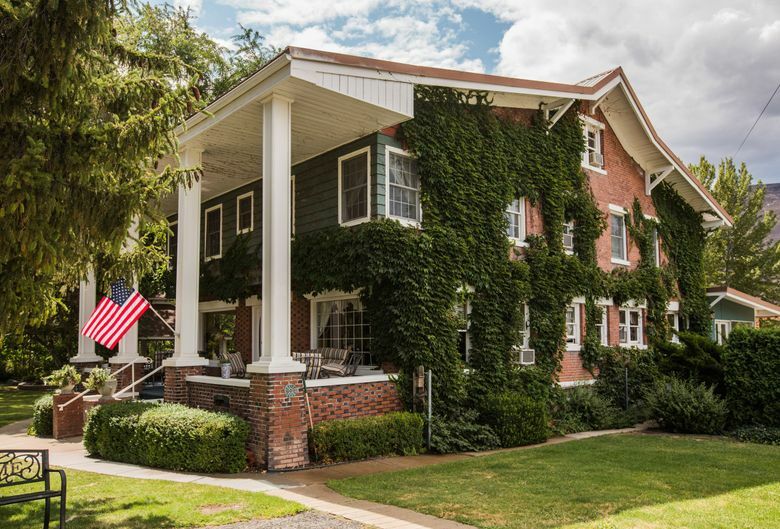 The serene atmosphere at the inn, Szmania’s welcoming demeanor, and the bottle of rosé that we decide to buy after the tasting make it difficult to want to leave. But tonight, we have tickets to the Hell on Hooves rodeo, and Steve has never been to one. At the rodeo, I steer us toward the beer line outside the arena to ease Steve’s transition into this brave new world. We meet a friendly Wenatchee local who warns us not to get a beer called “Irish Death.” (Steve does anyway, out of curiosity. It’s an extra-potent dark ale. He loves it.) Then, with almost zero warning, we find ourselves fielding an ugly rant littered with anti-Latino sentiments from a stranger with a broken nose. It leaves me wondering if the guy’s injury started with a similar tirade. We manage to extract ourselves peacefully and find Ramon Rivera, director of the Wenatchee High School Mariachi Program and our host for the night. Rivera is an energetic presence, never standing still for long, and frequently returning to my side to share the successes of the program and his students’ inspiring stories. 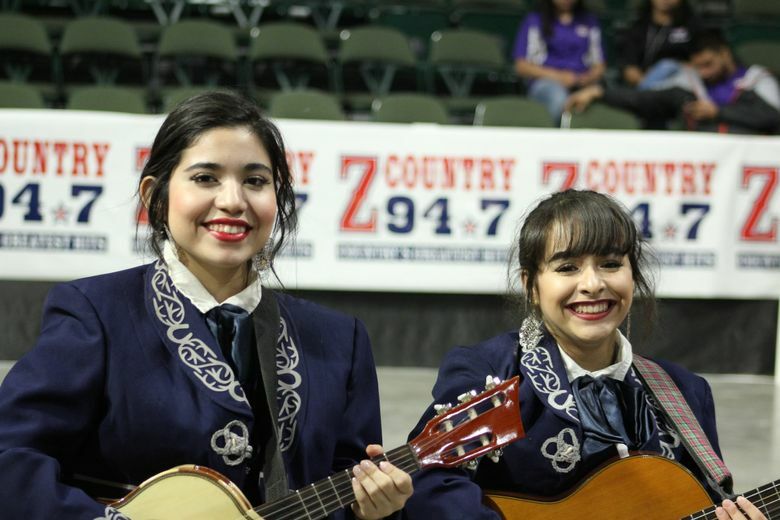 He introduces me to Daniela Alpire and Bianca Karina Lagunas, both sophomores in the midlevel band Mariachi Azteca. They’re performing tonight. 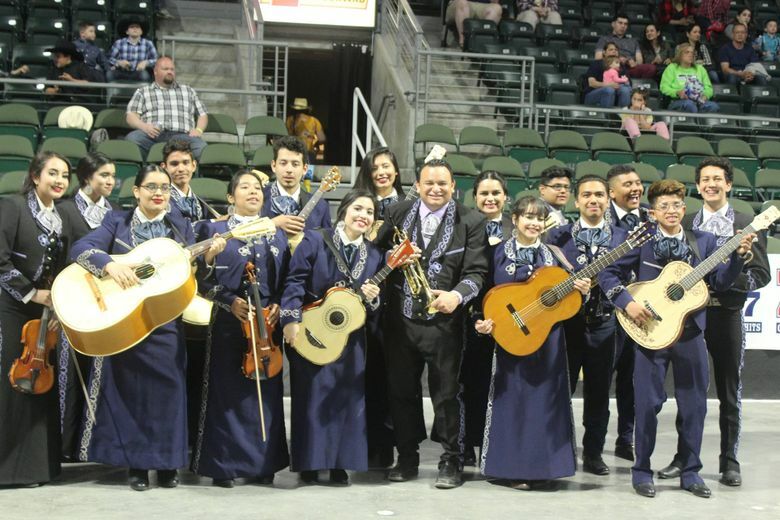 While Alpire and Lagunas relate differing views on life in Wenatchee — Alpire enjoys it here; Lagunas feels “it’s too small” — both express a strong connection to the mariachi program. Mariachi Azteca plays “El Tirador” as cowboys jump through lassos and the riders of Rancho Los Lagos Mexican Dancing Horses guide their horses through intricate choreography. An unfortunate programming oversight ends up leaving recorded music playing over the sound system while the band plays, but if the musicians notice, they don’t show it. After the performance, Rivera is still all smiles, introducing me to one student after another and bragging about the prestigious events that the bands have been a part of, like performing with musician Marco Antonio Solis and attending the signing of the DREAM Act with Washington Governor Jay Inslee in 2014. 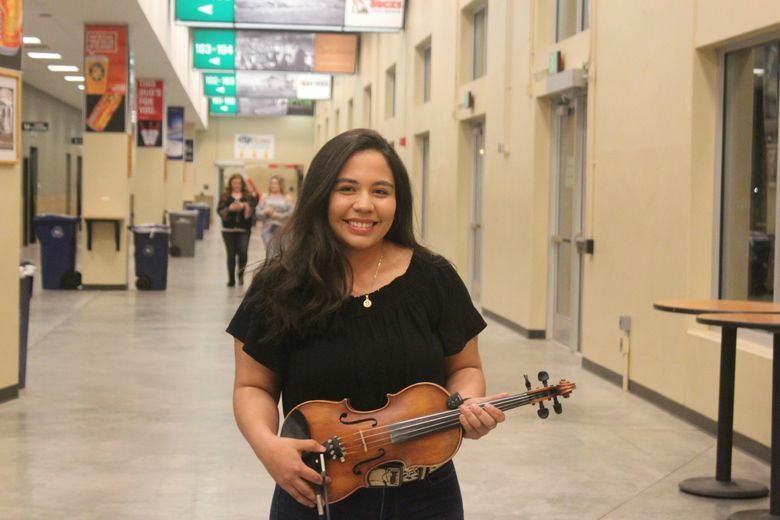 For Esmeralda Mora, an alumna of the program and a Dreamer who became a resident last year, the mariachi program was a way for her and her parents to connect to their culture from afar. “[S]ince I was undocumented or I wasn’t able to go back to Mexico and my parents even feared leaving Wenatchee… I love that he [Rivera] basically brought the culture to me,” says Mora. By the time Rivera finally slows enough to sit down with me, it’s almost 10 p.m., and he is still brimming with energy. A group of the students stay behind after clean-up, some singing mariachi songs in the hallway. 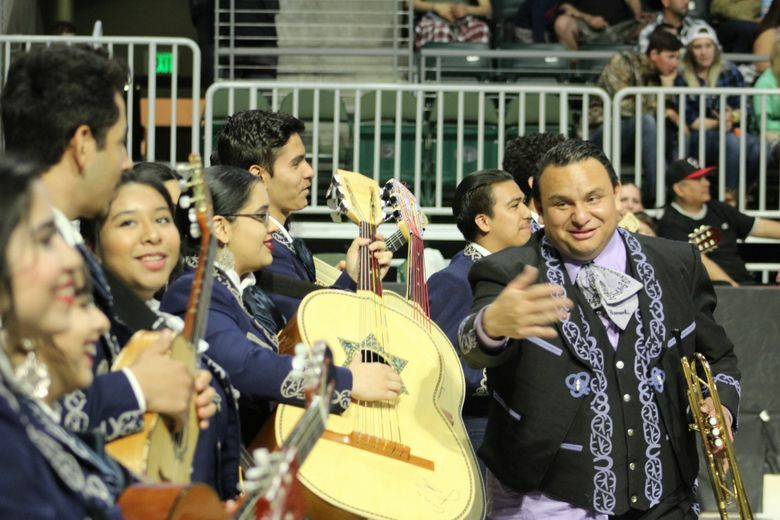 Like a proud parent, Rivera shares photos and videos of the bands on his cellphone, lingering over a video of advanced group Mariachi Huenachi meeting House Speaker Paul Ryan in Washington, D.C., last year. When he shares a video of himself meeting country band Little Big Town after accepting an award for Music Teacher of Excellence at last year’s Country Music Awards, Rivera can’t bring himself to take the spotlight for long before bringing it back to the kids and community support the program has received. 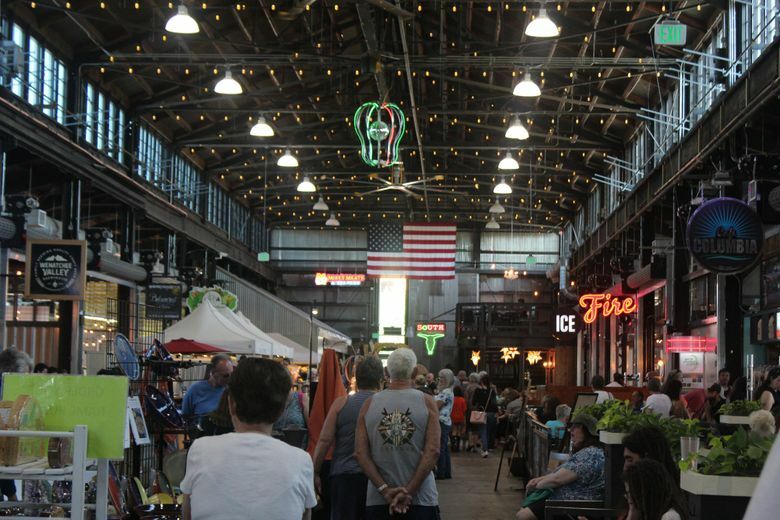 The next day brings us to Pybus Public Market, the beating heart of the city of Wenatchee. The indoor marketplace is home to the best restaurants and artisan shops in Wenatchee, as well as community events and wine tastings. 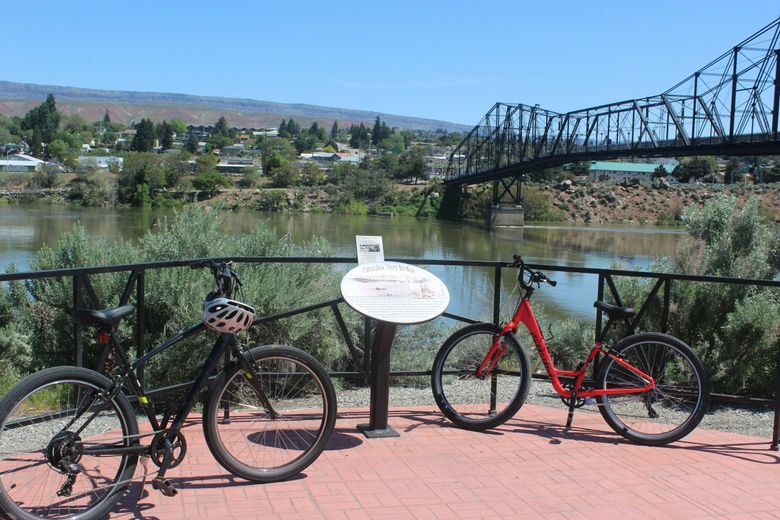 At Pybus, tourists rent bicycles to take to the Loop Trail around the Columbia River. Locals buy stacks of $2 hardcovers at the Friends of the Wenatchee Public Library book sale, or pick up smoothies and locally grown veggies at Royal Produce. Our touristy ride on the Loop Trail is beautiful, but cut short when the east side of the route turns out to be completely flooded, so we decide to give the book sale and the smoothies a try. On Saturdays, the Wenatchee Valley Farmers Market makes Pybus’ outdoor area as lively as the inside, and Steve’s sweet tooth sends him to a tent selling homemade pies. 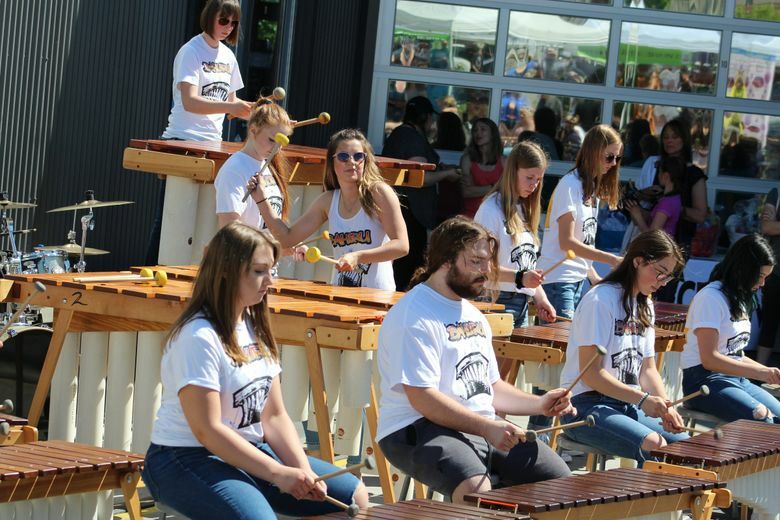 I’m drawn to the large crowd gathering around a group playing “Rock the Casbah” on marimbas. 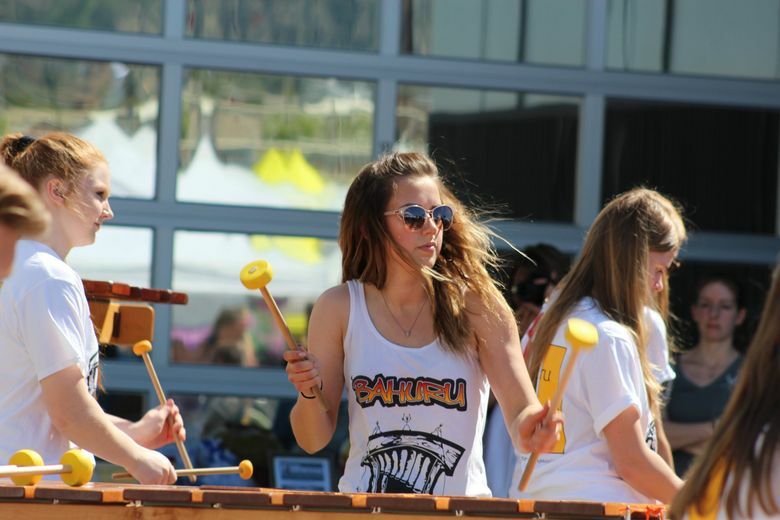 The musicians, it turns out, are Bahuru Marimba Band, a band of middle and high school students from the Tri-Cities. 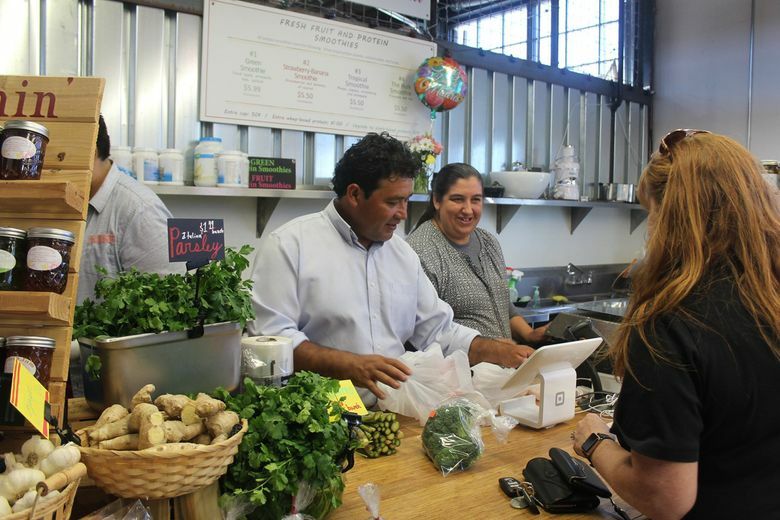 Inside the market, we order a couple of famous smoothies from Royal Produce, the first and only Latino-owned business at Pybus. Yesterday marked Royal Produce’s fifth anniversary at Pybus, but proprietors Santos and Zenaida Guadarrama have been selling their produce at the Wenatchee Valley Farmers Market and Moses Lake Farmers Market for more than 25 years. 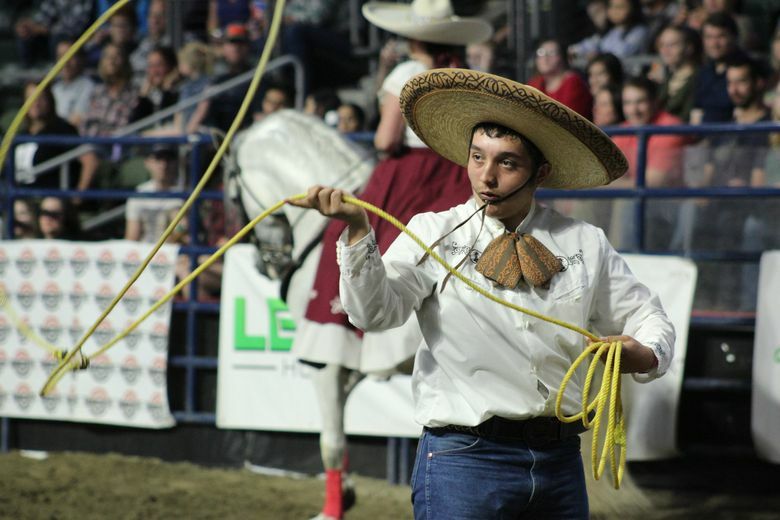 Guadarrama began working for beloved local farmer Ivan “Ike” Parker in the early ’90s, and the two quickly established a strong friendship over long conversations, Santos practicing his English and Parker mentoring the younger man. When Parker decided to test the waters and see if the community would accept Guadarrama as a vendor at area farmers markets, both men were pleasantly surprised to find a welcoming community at Moses Lake and in Wenatchee. In the late ’90s, after working for Parker for several years, Guadarrama bought the farm from Parker and has kept it up as a Guadarrama family affair for almost 20 years. To run the farm and sell at two different farmers markets, the whole family chips in, including all seven Guadarrama children, and Santos Guadarrama’s brother. Guadarrama hopes that one of their children will eventually take over when he and Zenaida finally retire. Guadarrama is measured and soft-spoken as he tells his story, almost as if he’s been transported back in time, but when he realizes how long we’ve been talking, his whole face lights up with an embarrassed smile. “You got me talking,” he says by way of apology, laughing.